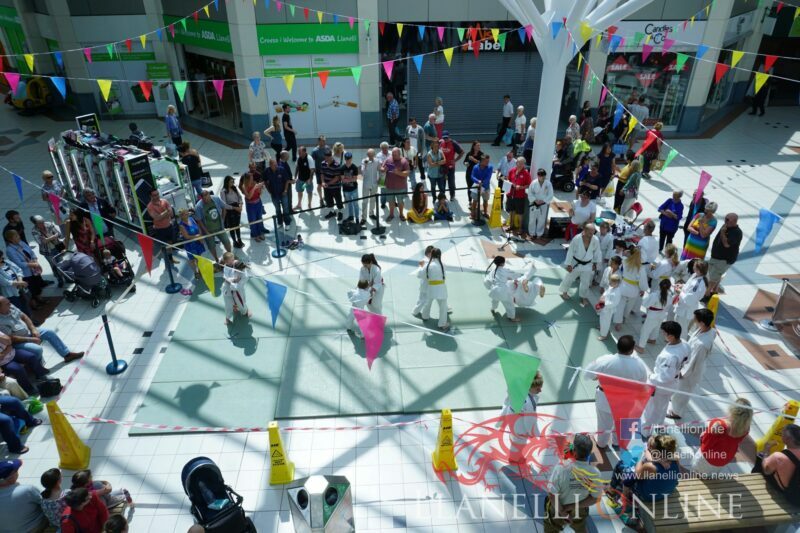 IT’S not often that one comes across a Dojo in the centre of a shopping centre. 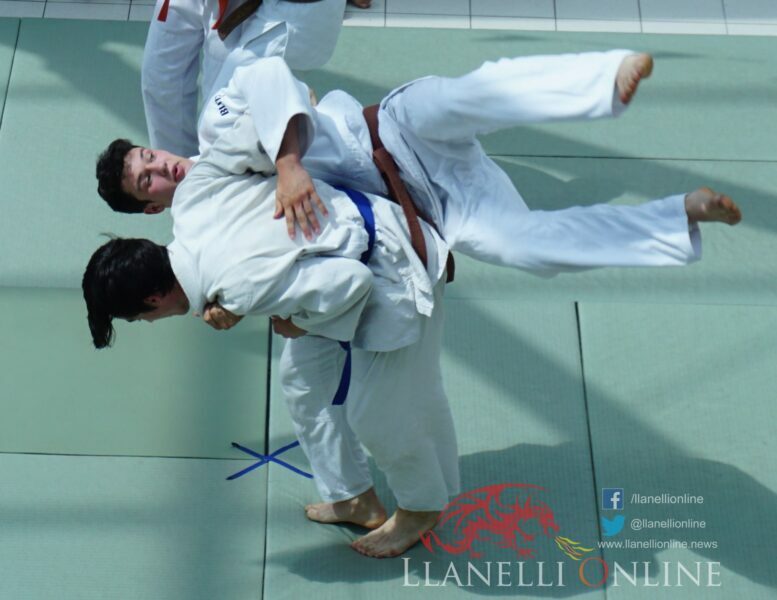 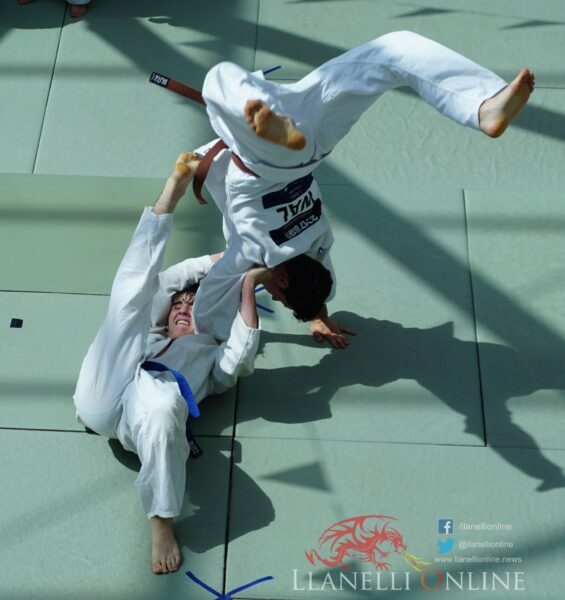 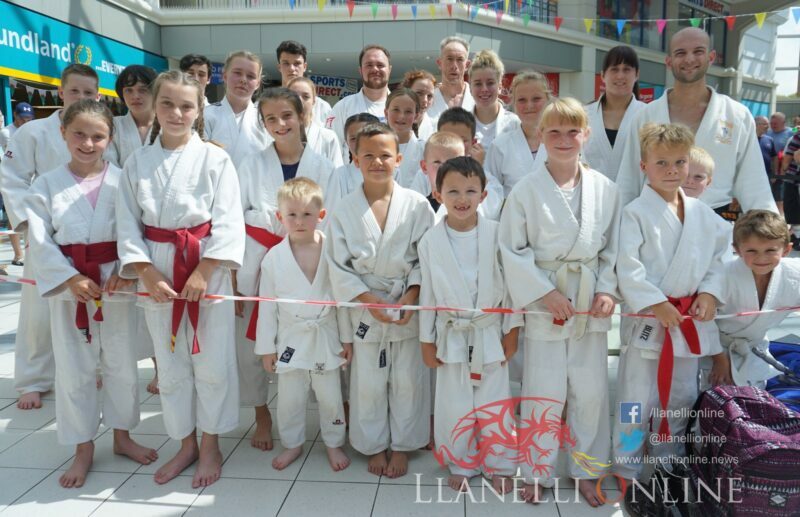 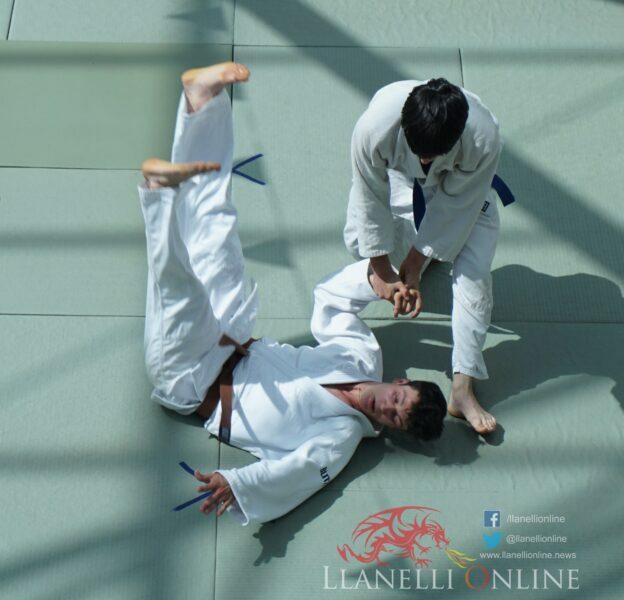 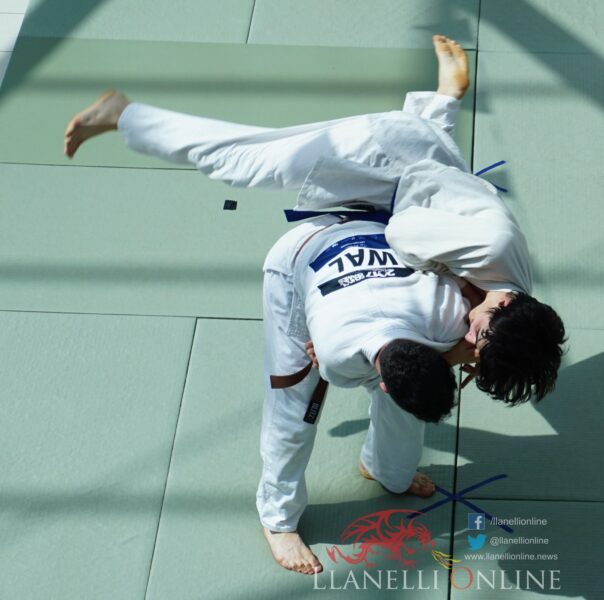 That’s just what shoppers saw at the St Elli Centre on Saturday (Aug 4) as the Sanshirokwai Judo Club put on a wonderful display of Judo to celebrate the club’s 60th anniversary. 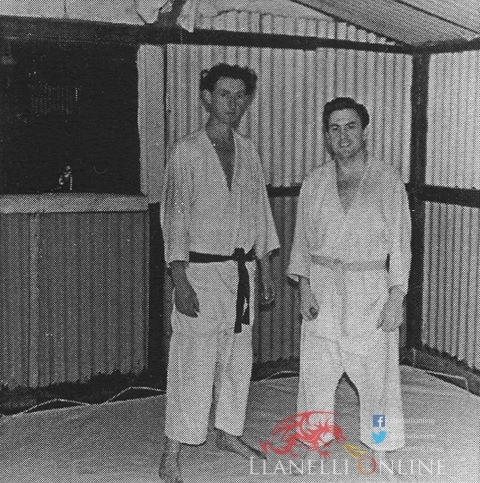 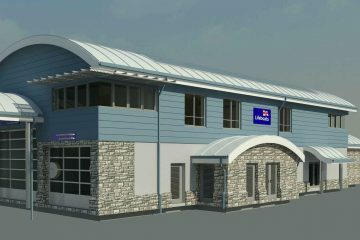 The club was founded back in 1958 when the young Steadman Davies began teaching Judo in his pigeon shed at 16 Spring Field Terrace, Bwlch-y Gwynt at the request of Alf Tovey and Malcolm Guy. 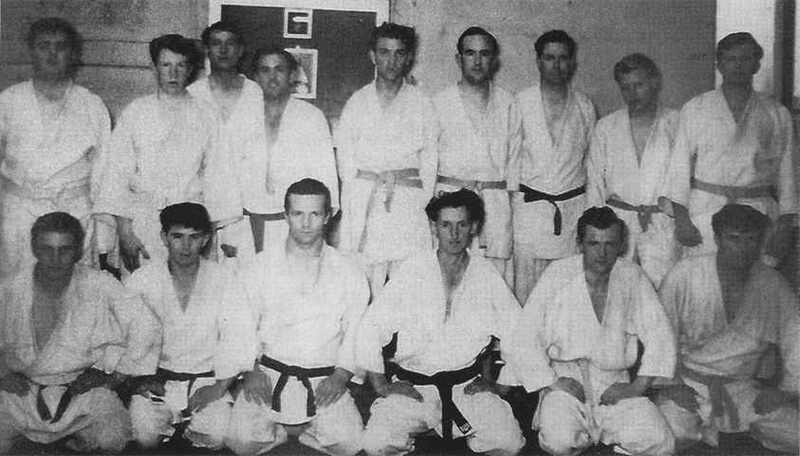 In 1962 due to an increase of students, the club moved over to the old Siloam Hall on Ann Street. 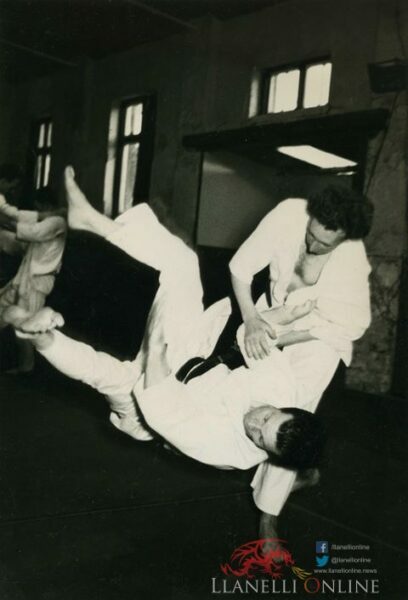 By the mid 60’s the club officially named as Sanshirokwai named after Japanese Judoka (Judo practitioner) Shiro Saigo, one of the very first Judo students who was considered to be one of the finest Judo technicians of all time and since then the club has gone on from strength to strength. 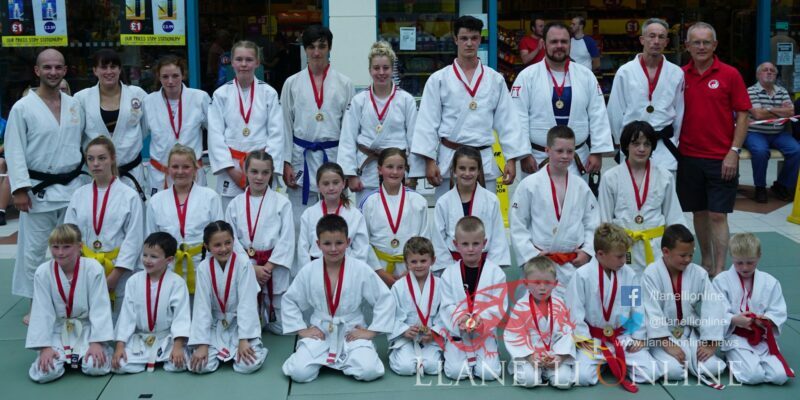 It’s hard to know what Stead would make of the display but as the main teacher of Judo in Llanelli for over 50 years one must speculate that he would have been extremely proud of those who have taken over his mantle and are now continuing to take Judo to the masses. 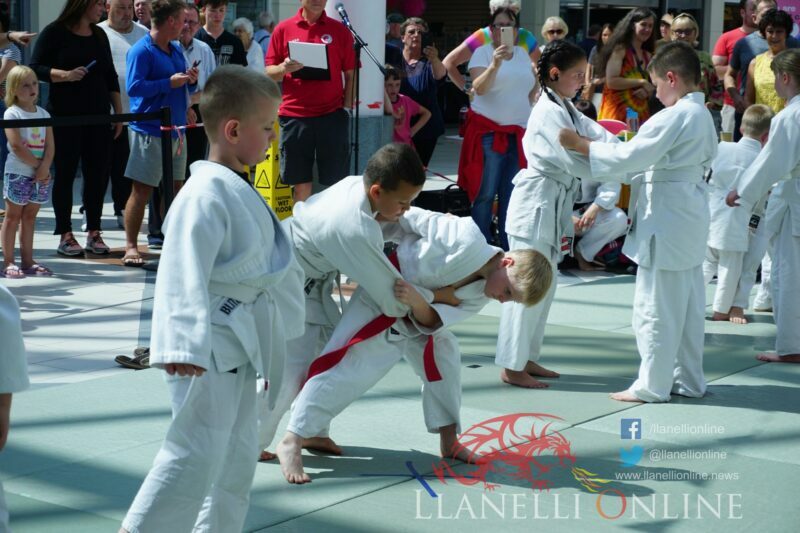 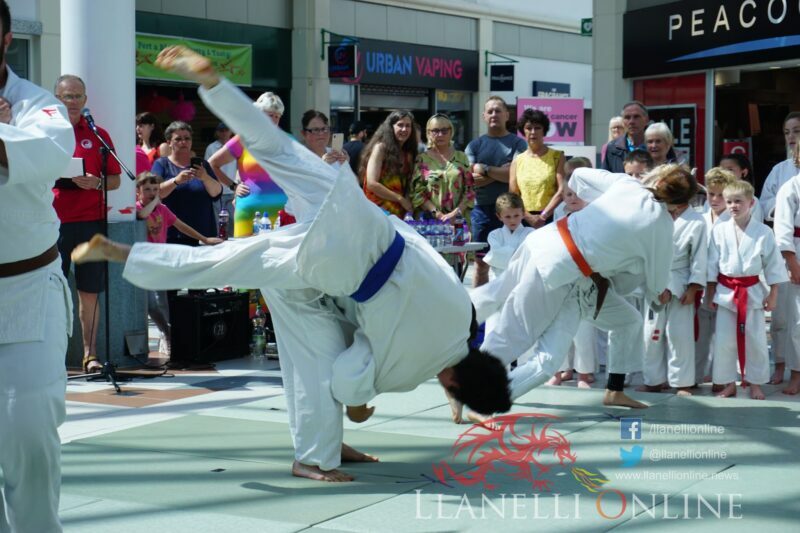 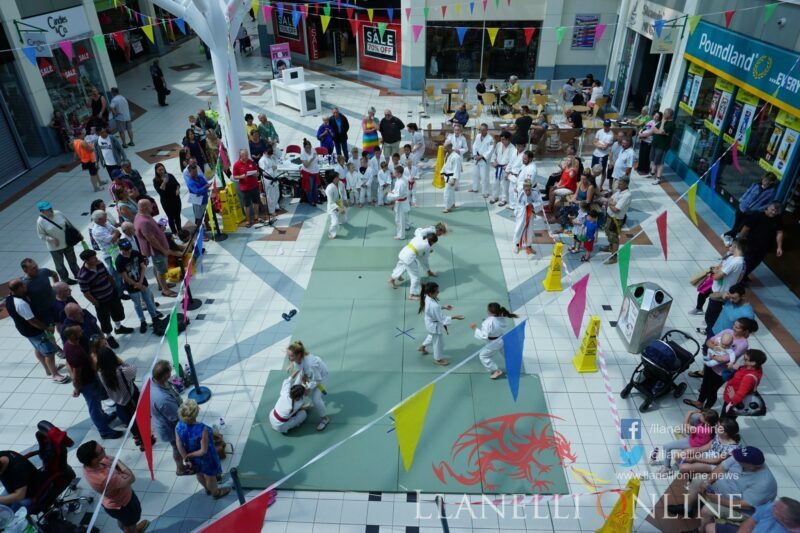 A large area of the St Elli Centre was covered with traditional Judo mats and children and adults went through a number of routines to the delight of the families and friends who turned up to watch the display. 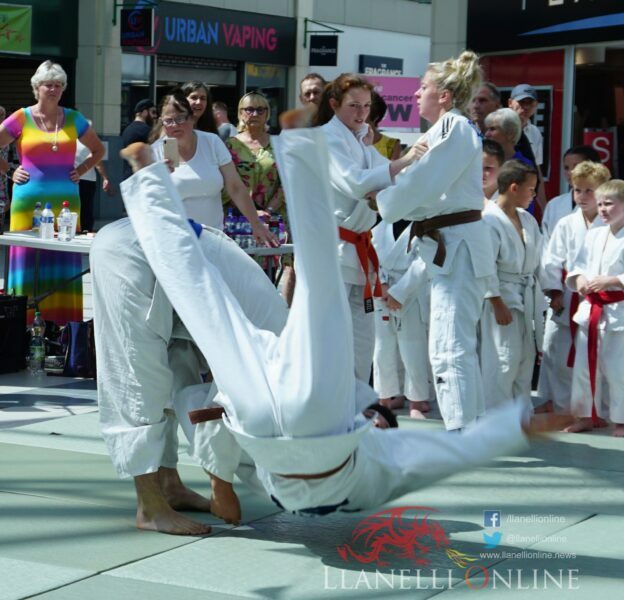 It was quite surreal watching from the balcony above as people passed by participating in their own form of exercise walking through the town carrying shopping bags. 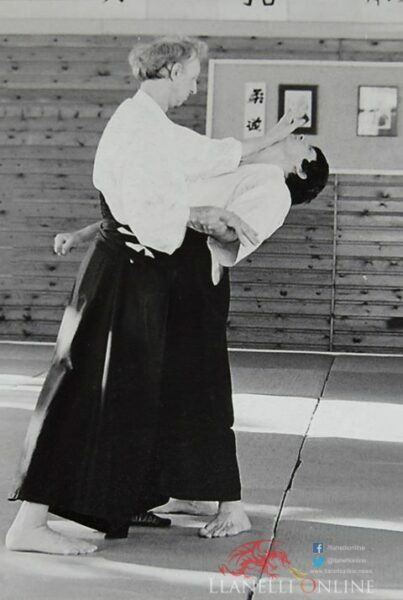 Steadman was known to use unconventional items for some of the training including broom handles and even bags filled with sand. 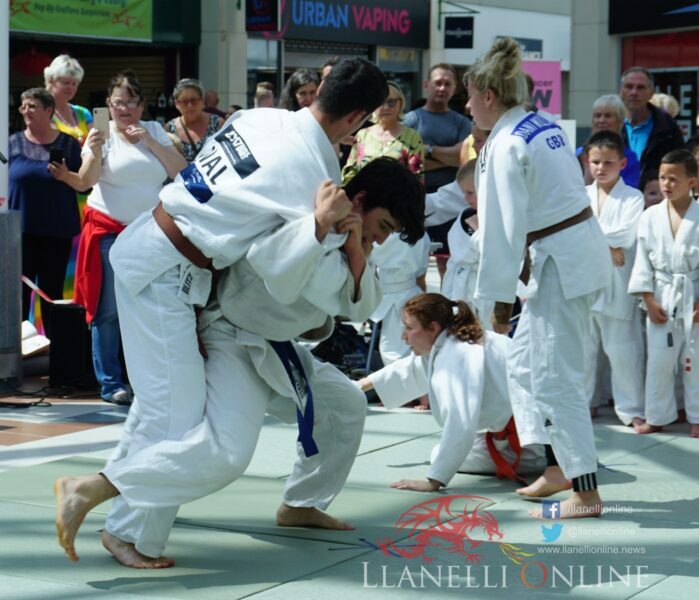 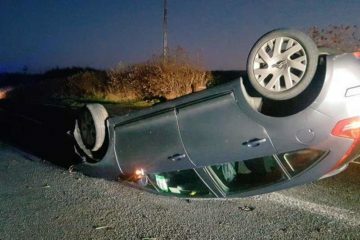 Those sipping on cappuccinos and skinny lattes at the Steaming Mugs café would have heard the continual crack of hands on mats as each of the Judo players flew through the air landing perfectly with a break fall that Stead would have been happy with. 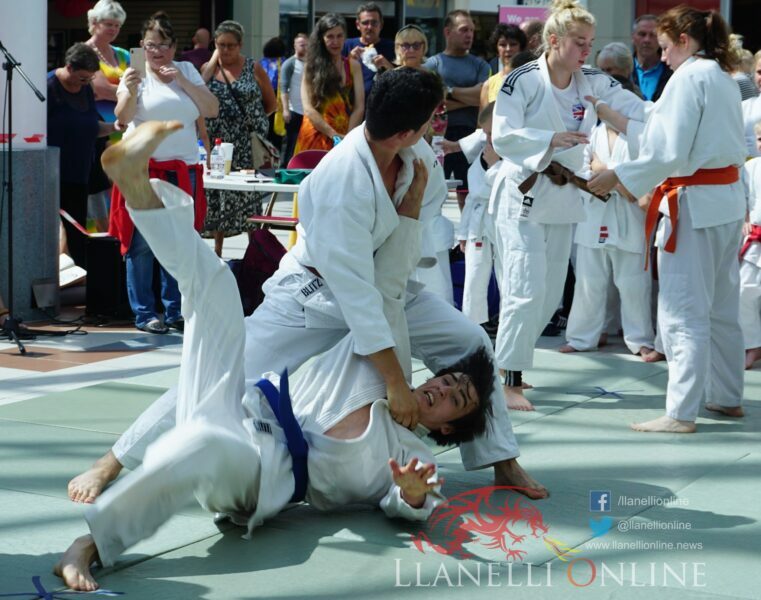 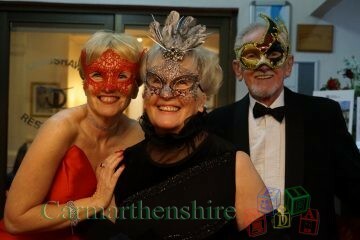 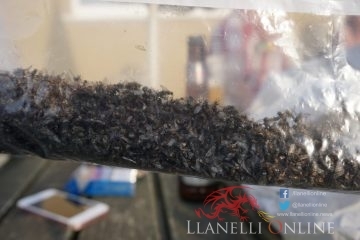 Organiser of the event Emyr Rees said: “Everyone that trains here are very committed, they train 3 or 4 times a week. 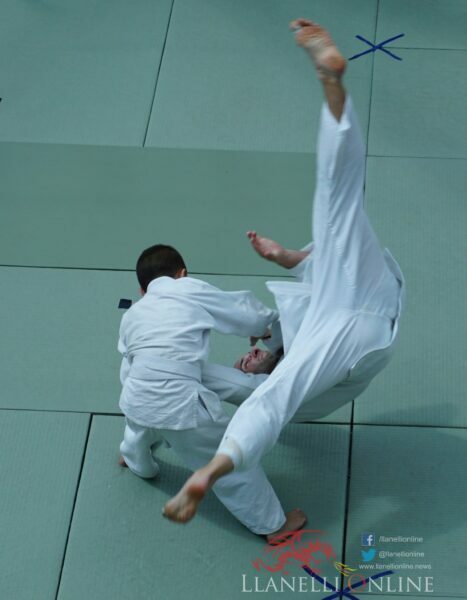 It’s an enormous task as Judo is very physical and tough martial art. 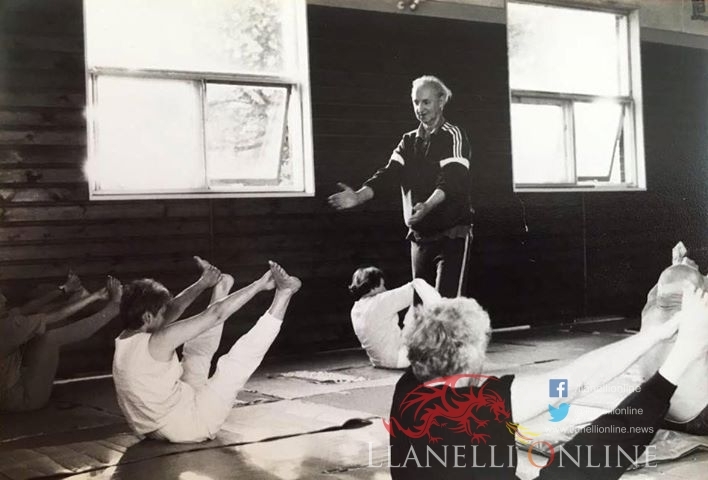 When asked about Steadman Davies and the impact he made on people Emyr added: “Enormous, he had no expectancy of anything in return. 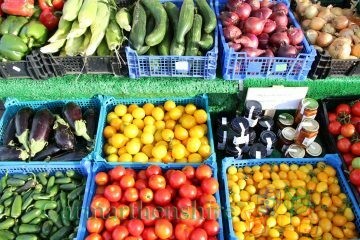 He selflessly helped everyone who came through the doors.